Get psyched TEDx ticket-holders, in just two days you’ll be enjoying the inspirational lectures, bold personalities and deep thoughts from this years TEDx participants. If you didn’t get a seat, stay positive there as you never know when someone will have to forgo their seat last minute. If you did get a ticket and you are just prepping for all of the fun, take a look at this years video…it’s try breathtaking! Happy Monday Cleveland. Did everyone have a nice St Patty’s Day? I hope you were able to enjoy the festivities with family and friends; pinch-free! Where did the snow come from? Just last Sunday it was almost 70 degrees and I was outside doing some necessary spring yard clean up. I should know better, springtime in Cleveland is such hit or miss, literally from one minute to the next it could be raining, sunny, snowing or thunder storming and sometime it comes to us all in that order in one day. These types of mornings make for hard fashion choices, do you agree? However with the glimmer of spring styles and the bold colors creeping into the stores, I think a few days of layers is well worth the wait. To remind us that spring is just around the corner, check out this video I found of the spring crocus peaking it’s little face to the springtime sunshine. Watching it over and over makes me happy. Happy Monday everybody. Cheers to another bizarre weather week in the CLE! Ruggles, gotta get me some….more! Grab your bowl and grab your spoon Ruggles Premium Ice Cream announced that it wants fans of the frozen treat’s popular radio commercial to create their own version of the company’s catchy jingle and enter to win an impressive array of high-tech prizes in the “Ruggles Scoop Scoop Video Contest.” The online contest will run throughout July, also known as National Ice Cream Month. 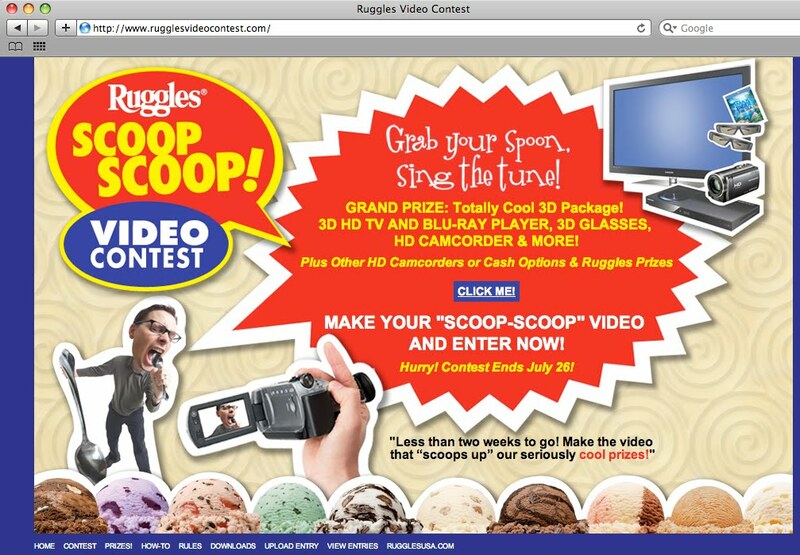 To enter, visit www.RugglesVideoContest.com, download the jingle’s music and words, and by using a digital or video camera, or cell phone camera, create a video version of the famous Ruggles jingle. The Web site will contain rules, a sample video and instructions for uploading contest entries. Videos will also be available via the Ruggles Premium Ice Cream Facebook page, with updated “scoops” posted on Twitter throughout the contest via www.twitter.com/rugglesicecream. Participants must be 18 years or older to submit an entry, but anyone can star in the video, such as family members, children, or church choirs, for example. Winners will be announced on July 30, 2010. ALSO….for discount tickets to any summer sweet treat that Smith Dairy/Ruggles sells….you can grab discount coupons at Smith Dairy under SAVE MONEY! Who doesn’t LOVE new shoes?